I am a history geek who loves anything to do with London's historical past. 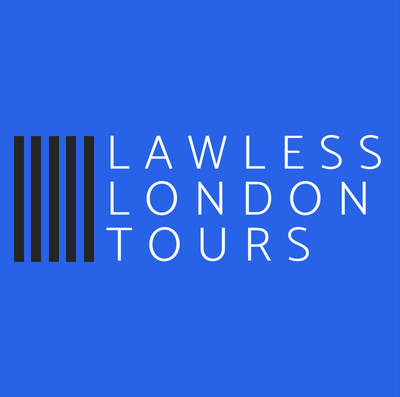 I am the founder of Lawless London Tours. We are fascinated by the dead, female body. In every Jack the Ripper walk the victims are murdered for our entertainment. They are repeatedly reduced to their dead form so that we may experience a thrill of horror. For many, being an expert in the Whitechapel Murders, or a Ripperologist, means having a detailed knowledge of the injuries sustained by the victims. It means being able to debate how much medical training the wounds imply, what type of knife was used, whether the killer was left or right handed. This is thoroughly perverse (and it becomes even more disturbing when you take into consideration that the majority of Ripperlogists are men). Most of us wouldn’t be comfortable discussing these topics if they related to a contemporary murder case. Yet because these women were killed 130 years ago, the distance of time seems to have made the women less real and less deserving of our respect. Ripperlogy (a term which in itself is hugely problematic) so often takes away the women’s humanity. They are rendered an anatomical subject onto which Jack the Ripper mapped clues about his identity and motives. As this level of scrutiny is today used by forensic scientists and pathologists, you might argue that Ripperologists are pursuing a legitimate investigative process. However, this is an argument which only holds when there is a chance of achieving justice for the victim. We will never know who Jack the Ripper is. It is impossible to think that anyone could uncover enough conclusive evidence to solve this cold case. Despite the fools-errand that trying to solve the Whitechapel murders is, plenty of people have attempted to expose the perpetrator’s identity whilst few have sought to understand who the victims were. To address this we need to re-insert the women fully and comprehensively back into the(ir) narrative. Their lives offer a starting point for explaining both the female experience of Victorian London and the socio-economic characteristics of the East End. By analysing how Londoners responded to the deaths, we can also reveal attitudes towards working class women. There is much to be learned from the Whitechapel murders, and the identity of the killer is, frankly, the least interesting. This is far from being a new argument. It is pretty well established in the academic historiography of 1888. Within popular culture though, it’s a view yet to gain much traction. Several years ago a new Jack the Ripper museum in the East End promised to place the women at the centre of its exhibition. And indeed it did; in the bloody form of mutilated corpses. Just this week the London Dungeon have come under fire for a publicity poster that invites visitors to ‘laugh’ their way through a Jack the Ripper experience. Jack the Ripper does not deserve the attention he has been given. I have no doubt that the level of notoriety he has gained would have pleased him greatly. It’s not enough for a Ripperlogist to acknowledge that the killer is a brutal sociopath if this is then followed by ten chapters examining his methods and psyche. We must condemn Jack the Ripper by silencing the speculation around his identify. This would have the added benefit of preventing Ripperologists dragging the names of innocent Victorian men through the mud. So the next time you find yourself reaching for the latest tome purporting to finally reveal Jack the Ripper’s real identity, remember the cost to the victims.